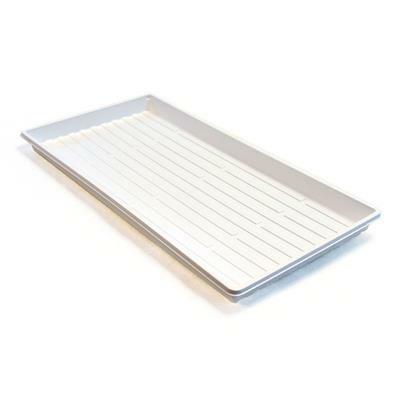 This heavy duty thermoformed tray is heavier than standard 1020 trays. Design allows community watering of pots, consistent bottom & side positioned drainage holes (or no holes) and easy, two-finger denesting. Both trays come with no center bar or side ribs. Select flats with or without holes. Thermoformed trays designed for consistent performance in automated filling and handling equipment. Don't settle for cheap and flimsy trays. Our 1020 trays are heavy weight and reusable. These are no longer "heavy duty." Been using these for a year and the last case came in obviously less sturdy. Called Customer service and they told me the manufacturer changed the thickness of the trays. They are now half the weight. If you want true heavy duty - get something else, these crack and break on the first use. Items came with at least 25% cracked on one corner. Eventually, more than half developed cracks and unusable. Is not heavy-duty as advertised. Able to hold a considerable weight compared to other trays that we have used. Not prone to cracking like other trays. Avoid leaving them in direct-hot sunlight as they do tend to warp/curl when they get overheated. Good value for the price. 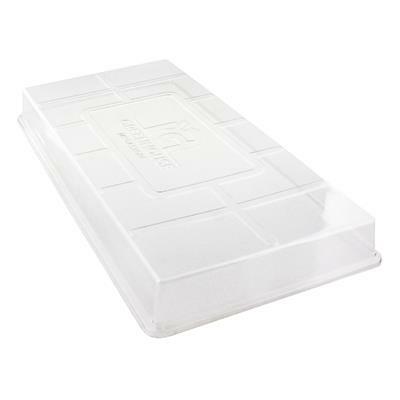 Great trays nice and thick a lot better then the regular trays. We use them for the bottom trays for microgreens. These 1020 trays are truly heavy duty. I have no concerns about leakage with bottom watering into these trays. Much better quality than other trays I have used. I use them for watering flats and to transport the flats around. Solid construction and not flimsy at all. I should be able to use these for many years. Super strong!!! Better to buy in bulk! I am very impressed with the quality and price of this item. I will certainly be back for more in the future. Love them! Just what I wanted for my micro greens! This tray has been a god send for helping keep my flats of plants watered. With temperatures in the 90s, I can soak flats of plants to make sure the root ball is saturated. These trays have saved my plants! Would buy them again! Great quality and sturdy for multiple uses. Far superior to products we've purchased in the past from other suppliers. These trays are the best I've ever seen. Not flimsy at all. I love them. And you can't beat the price. Buy them now. Seriously. You will not regret it. I use them for starting tomato seedlings, and then for transporting the potted plants later on. Other trays twist, these to not, they are so sturdy. Thank you for a great product! 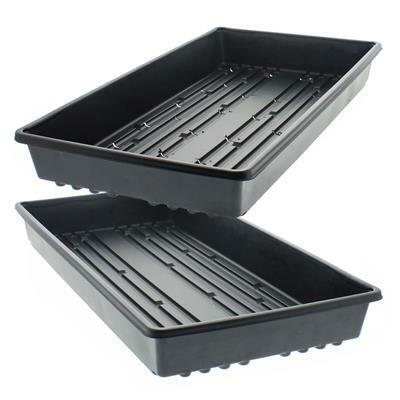 I have been using these heavy duty 1020 trays for a few months now and I love them. Very heavy and durable. I can pick them up when full of 6 packs and they don't bend or fold. I will order more of these in the future. Great trays heavier than the standard tray worth theprice will buy again. These trays are very sturdy and can be reused year after year. They are awesome, just like all of the products from greenhouse megastore! Very high quality tray. I have no issues with expecting several seasons of use. I use these to hold my transplanted seedlings in peat pots. Watering plants is easy as I just keep the trays with about an inch of water. Plants/soil takes the water as needed. These have been a lifesaver for me this cold spring. They are very sturdy! 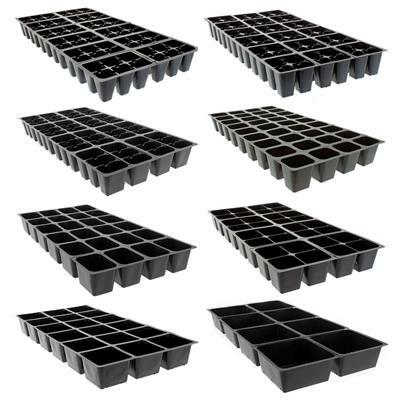 These trays are exactly what we were looking for to start our seeds for our garden. They are sturdy enough that we think we won't have a problem reusing them. These sturdy trays came in large box with protection wrap to insure they arrived not damaged. Shipping was reasonable and on time. The heavy duty trays are wonderful. They are working out great. They fit perfectly in my propagation trays that are a little larger and are on my heating mats. Nothing gets wet. 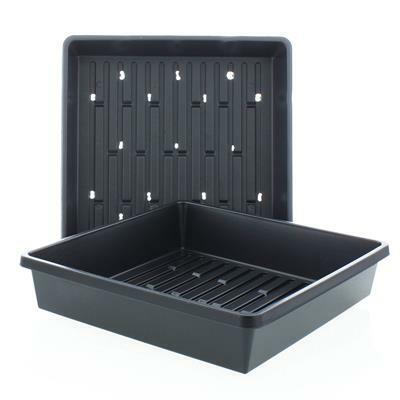 These trays are very durable they are heavy duty and can be moved around the green house with ease even when filled with pot plants or inserts I will definitely be purchasing more very soon. Hello all... I am a mircogreen farmer and i am always looking for cheap products to use.for the price you pay for there trays is unbelievable cheap and there amazingly strong for that price. No more limp trays there really stout. Buy them in bulk and get them even cheaper.thank you so much you for everything you have my business for life. I have used these trays for the past three seasons and I am very pleased with them. Some of the ones I'm planting in today are from the first order! They hold up well! I much prefer these over the standard trays. A lot more sturdy and hold up to repeated use and weight without breaking. Not indestructible, but definitely worth the slightly higher price. Very sturdy and sized right for all inserts. These are sturdy trays. Good quality. Plan to reuse for years to come. not much stronger than the standard 1020 tray. These trays are much heavier and appear more durable than previously owned trays from the local department stores. They price is also better for the quality. Plan to order some more. The extra weight of these trays make all the difference. They hold up to heavy weight without buckling. I expect a vastly increased usability with this choice. The products appear to be of very good quality and the price was very reasonable. It is to early in the season to actually use the item. These trays are heavy and do not flex in the middle when loaded with plants. So happy with this product! 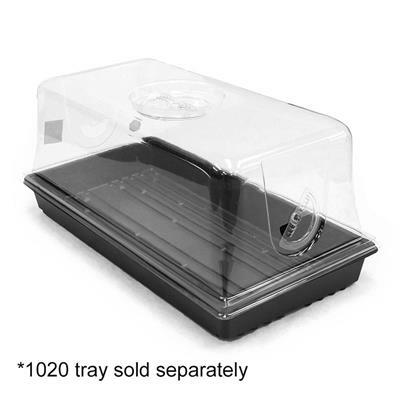 1020 trays are sturdy and durable. I plan to reuse them next year. 1020 heavy duty Trays were not so heavy duty. About double the thickness but not as rigid as other trays. 2 stars because they were still crafted nice but not heavy duty. I ordered 6 no-hole trays but the one on the bottom broke during shipping. I kept my fingers crossed that these would be heavy-duty, sight unseen. They are! Yes, the price reeled me in, but these seem to be high quality AND I can separate them. My last ones ordered from another company took pliers to gently separate. I was thankful there were only ten. The Megastore is Mega-awesome! Using product to grow several dry grasses for a forest restoration project.They are cost effective and sturdy enough. They are working great. Love these trays they are the perfect size for the shelving units in my greenhouse & are pretty stable when loaded with the starter pots also purchased. Would recommend as well as purchase again! These have held up to some moderate abuse. Seam pretty flexible for plastic and none have cracked under a few lbs. of weight. Purchased a second batch I liked them so much. Very nice heavy duty trays...will purchase again and again! Nice heavy duty trays at a reasonable price and shipping costs. This is a great tray but I wish the manufacture could increase the durability of the tray. Doesn't take much to ruin one without using additional support. Then again, the trays from Greenhouse Megastore so very low in price so breaking a tray here and there will not break the bank. I ordered 10 no-hole trays, and then a second order a month later for another 10. They are very sturdy and exactly what I needed. Shipped in a few days. Very happy with purchase. Strong quality product, i like to work with them , helps me with my plants , seedlings. I will recommend to others ! The Heavy Duty trays are the ones to get. For pennies more than the standard duty trays you get trays that can handle heavier loads and that will last for more seasons. 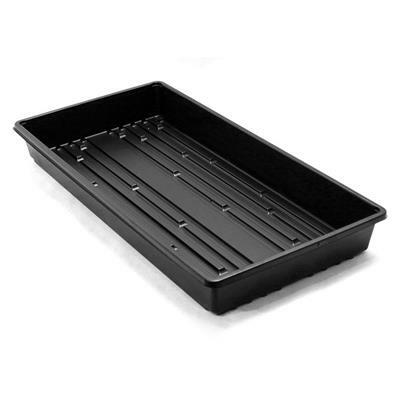 These Heavy Duty 1020 Trays are well worth the extra cost. They are very sturdy and I can see them easily lasting many seasons. They are not at all like the cheap, thin ones you get from the big box stores or the ones I usually get from other nurseries. These are great! 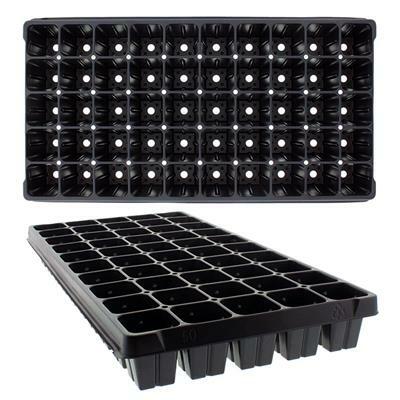 Save money each year by investing in REUSABLE trays for your seed-starting. These are SO durable, with watered soil and plants, I can confidently hold it from the bottom with one hand, without fear that it will collapse, crack, or bow. I purchased four of these, and although I don't think I'll need to buy more for a long time, I will definitely buy these again if I expand my operation!! Great heavy-duty product. After years of using the standard 1020 trays from other sources, I am NEVER going back to those trays. These trays are of an incredible quality, not flimsy in any way, shape, manner or form. Excellent value. These are heavy duty flats, not the floppy kind you get with seed-starting kits. Excellent value. Product as described. Arrived in a timely manner. Pleased with my purchase. I bought these to replace some other trays I had that were starting to leak due to getting dinged up on the corners. I will probably end up having to replace these some day, but they're heavier than the ones I had and I think they'll last quite a bit longer. For the price, these are great. Super heavy-duty trays are about 10X the price. Everything I buy from you is awesome! The prices are very reasonable and I get them very quickly. Thank you again for everything. I was surprised these weren't made from thicker material for being sold as heavy duty. I've purchased thicker at the local grow supply store. I guess I'll see how well they hold up next season. 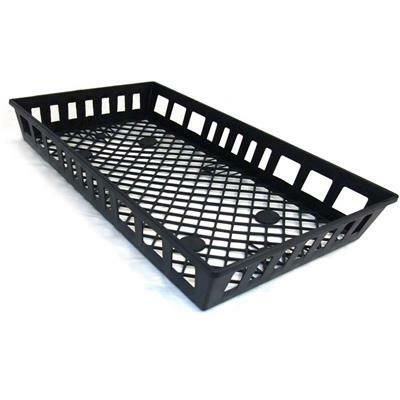 These heavy duty trays are excellent, re-usable and affordable. I highly recommend them. I bought the extra strong trays because I wanted them to last more than a year. They are holding up nicely. Should last several years worth the extra .50 per tray. I like that these trays are stronger than the trays you used to have.